Pro Creator Hany Rambod Explains His FST-7 Training System! In the following interview Hany details the FST-7 method of training and provides examples of where and when it can be applied. See if it would work for you. In viewing the amazing track record of highly sought after bodybuilding trainer Hany Rambod, it is hard not to be impressed with the level of success he has had with his star-studded list of upper echelon athletes, most notable of which is Phil Heath, bodybuilding's newest top tier Mr. Olympia hopeful who has gained a staggering 16 pounds of muscle following Hany's advice. Being quick to note that a bodybuilder's success depends on their individual predisposition to gaining size and dropping fat, Hany has become a master at determining exactly which training methods and dietary strategies apply to each of his clientele. He has a knack for nailing a competitor's size and conditioning time after time. For Hany, each competitor brings a different challenge. Despite the importance of individuality, though, is there something in Mr. Rambod's bag of tricks that Phil Heath has in common with the rest of Hany's A-list? Well, yes there is. FST (Fascial Stretch Training) -7, a training system developed by Hany and used on his clients, targets the fascial layer directly beneath the skin and above the muscles with seven sets performed for a final exercise. The idea behind this method, which has been used for several years exclusively with Hany's athletes and has only recently been made available to the wider public, is to stretch the fascial layer to capacity to allow for greater muscle growth. In doing preliminary research prior to interviewing Hany, I discovered that FST-7, while on the face of it appears rather simple, it is, in fact, a system that can take many different forms and be used to achieve multiple aims. From the rank beginner through to the highly advanced professional, FST-7 has its place and if Hany's results are anything to go by, will completely change the way bodybuilders view training for optimal results. In the following interview Hany details the FST-7 method of training and provides examples of where and when it can be applied. If Hany's results are anything to go by, FST-7 will completely change the way bodybuilders view training for optimal results. What, in a nutshell, is the FST-7 method of training? It is based on the theory that the potential amount of muscle that you are going to build depends highly on your genetic make up and the thickness of the fascia surrounding the muscle belly. For example, if you have a thicker fascia, the chances are that you will be more restricted and will be less likely to build mass, compared to if you have a thinner fascia. 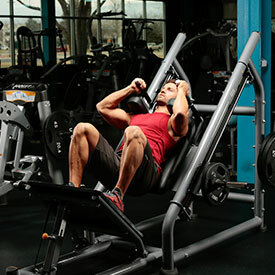 FST-7 training is a two-tier training system. The first principle of the system is that a stronger muscle is a bigger muscle, so we say that you will still have to maintain a certain minimal strength level and will need to gain strength as you try to get bigger. The second theory revolves more around the fascia itself and the belief that the way to expand this fascia is through a high volume of sets, hence the seven sets, and pumping as much nutrient-rich blood into the muscle bellies to help expand the fascia, all with a minimal amount of rest in between the sets (30 to 45 seconds) after you have done your base sets comprising heavier movements. 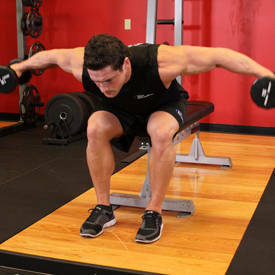 The heavier movements can consist anywhere from one to three sets. 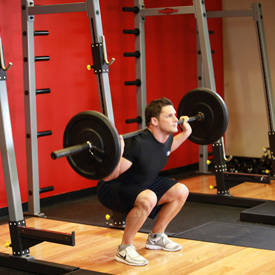 For some of my clients we do high intensity style training, maybe only one working set. Sometimes they will do two or three working sets. 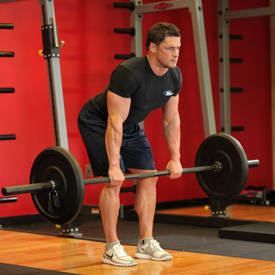 But those are the base exercises, the first two or three exercises before the FST-7 exercise. The last set is all about volume. That doesn't mean you go so light that it is all about the pump; you still use a good amount of weight where you are going to be able to feel the eight to 12 reps, and sometimes as high as 15 (reps). You are not going so light where all you are doing is just getting fatigued. You are still going to failure somewhat, but you are doing it not so light where you stop and go, 'well I could have probably done ten more reps.' You are going pretty close to failure at the 12-to-15-rep mark. And this is the basic version of FST-7? Yes. There are more advanced versions of FST-7 and if you read my column in the latest Muscular Development you will see I do a pre-load system where we will do an FST-7 movement at the beginning to try to do what I call 'prime the pump.' Or I'll do a re-load system, which is for people who are recovering quickly where we will do two exercises of FST-7. But what we are talking about right now is the basic FST-7 program: three exercises with the FST-7 set at the very end. 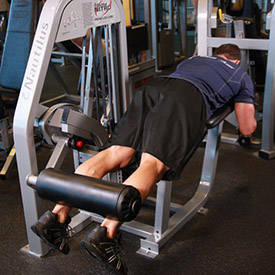 For larger body parts, like legs, it will be four exercises. 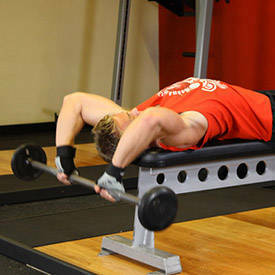 For this part it will be three base exercises and the fourth would be an FST-7 exercise. 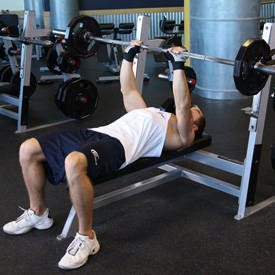 And that set will include seven sets back-to-back with only with only 30-to-45 seconds rest between sets. How would you prioritize your exercises on this program? Normally for a beginner we would use an isolation type exercise for the FST-7 exercise. 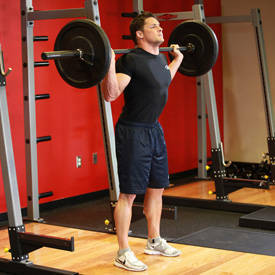 Now, as you become more advanced you can start using compound movements. 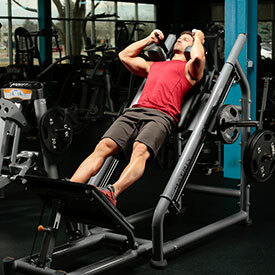 For example, with legs the FST-7 exercise can be going back and doing seven sets straight on leg extensions or it could be a leg press or hack squat. But the hack squat would be something a little more advanced than doing just seven sets on the leg extensions, which is pure isolation for your quads. Normally For A Beginner We Would Use An Isolation Type Exercise For The FST-7 Exercise. Maintaining the thesis that this program will be tailored depending on ones genetic predisposition, how would you design a program for the fast gainer? For a fast gainer I would do a hack squat for the 7. For somebody who is just starting out who isn't recovering as quickly - maybe they're not taking all the supplements they need to take or not getting enough sleep or rest - what happens is we would have them do something that will not beat up their system quite as much, like leg extensions, versus somebody else who is recovering quickly and whose supplements and sleep and rest is top notch, then we would do the hack squat or leg press - because they're going to recover at a much quicker pace. How would you determine whether a person has the correct predisposition to begin the advanced FST-7 training? Usually you can tell by the duration of muscular soreness. Soreness is a key marker here. So if somebody is doing extensions, for example, and is getting sore for four or five days, I would not put them on leg presses. They would do hack squats. But if they have only been sore for one or two days I would graduate them to leg presses. And you would of course also factor in nutritional and rest status along with this? Yes, absolutely. So if somebody is more of a top amateur bodybuilder, who is going to eat, sleep and train properly, versus somebody who has a gruelling job, who is more of a weekend warrior, then that person is probably more able to get all of the factors addressed along with their supplements and correct supplement timing to maximize their gains. What led you to developing the FST-7 system? It is actually what I used to use back when I competed in the '90s. And what I did was to refine it as my pro athletes that I trained began to use it. A lot of my clients would come out and train with me in California - a lot of them live in Colorado, New York and Florida to name a few places - and I would watch them train and observe how this approach worked for them. And I would write up their training program only to realize that some of them would use either real sloppy form and not go through the full range of motion because they were using too much weight, or they were going too light and expecting muscle gains with insufficient stimulus from their exercises, or a combination of both depending on what body parts they were working. So I became more hands-on with their training and created more of a curriculum around the program so that they would implement the program and I wouldn't have to think, well the guy has been working out for ten or 15 years, I'm going to assume they know what I'm talking about when I say, "I'm going to bring up your back and here are the exercises I want you to use to do that." Before I used to assume that this person would know how to do it because they had been doing it for so long. But that's no longer the case. Now I don't assume anything. I start someone's program from the ground up, from the minute I start working with them; I look at what they have been doing, I look at what their main strengths are on the basic movements, and I start to create the program around body parts. And the other thing is, if that person has real strong body parts, for example someone who has great arms such as Phil Heath, I won't put a ton of arm training in there because that is already a great strength, but there might be more back or chest work, or shoulders to build width, we will implement more of those exercises, versus something that works those body parts that already grow like crazy. With Phil Heath as an example, would the FST-7 system be used for his entire body or for specific body parts? What we would do is use it less often. For example, Phil might still do seven for his arms but he might do it just once every two weeks. We would use it a lot less often so as to ensure a little more balance to his physique. With each of your clients who use FST-7 for the first time, you will not assume anything about these people and look at their individual situation from a fresh perspective? Would you have some kind of trial period to ensure they will progress as you wish them to? Absolutely. And, especially with somebody first starting out, we will do maybe two to four weeks to gauge their soreness level and if their body is experiencing too much of this because their body is maybe not getting enough rest or sleep, we will either back off on certain body parts or will try to cycle their training so that for every other back workout, for example, we will use the FST-7 - if it's somebody who doesn't seem to be recovering in time. Especially With Somebody First Starting Out, We Will Do Maybe Two To Four Weeks To Gauge Their Soreness Level. If somebody comes to you who has used High Intensity Training (lows sets and high intensity) and has gotten good results from this, what would you do to create further gains in muscle? What I might also create is a hybrid system where we will use the base exercises, and where they might be included for 3-to-4 sets these base exercises might be one to two sets and we will still implement the FST-7 to enhance the muscle pump and fascial stretching. 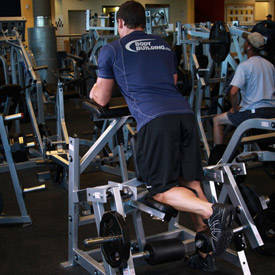 With this we can still include the base exercises according to a High Intensity Dorian style training system. Your whole FST-7 system is predicated on the belief that by stretching the fascial layer you will enhance a muscle's growth potential. 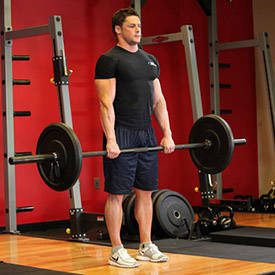 Does not conventional style resistance training already do this? No, because what happens is when you train this way you will notice that the muscles tend to deflate. Now there is a major difference between the look of a powerlifter and a bodybuilder. They are both big, but if you take a 250-pound bodybuilder and a 250-pound powerlifter, why does the bodybuilder look so much bigger? Well, number one, the bodybuilder has lower body fat and is usually leaner, and number two, their muscles are rounder - the type of training the bodybuilders do create much more of a pump. Then why is it that since the late '90s we have seen a decline in arm size, for example, in a lot of the bodybuilders? They aren't genetically gifted. 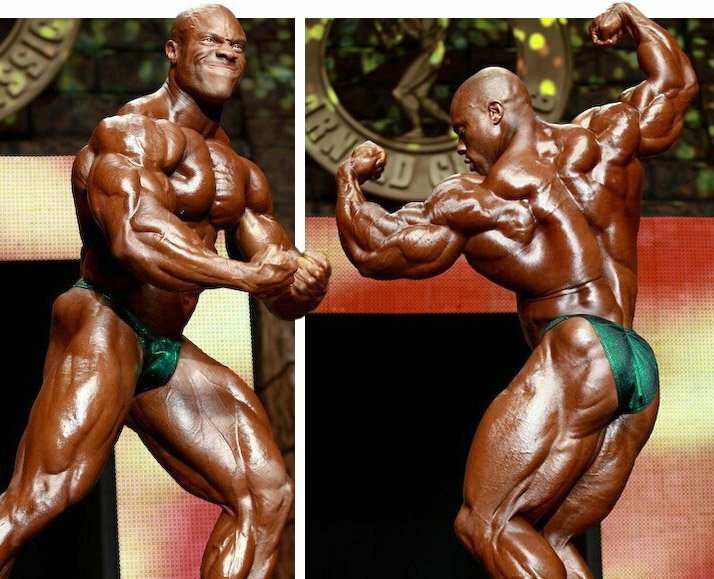 The African American bodybuilders - Phil Heath and Ronnie Coleman for example - though have these huge arms because they have a thinner fascia. Back in the '60s, '70s and '80s a lot of the white bodybuilders had really big arms. Now they are getting smaller and smaller. All the guys then, including Arnold, had phenomenal arms because they used the volume style training method. My whole theory behind the decrease in size is that in the '90s people gravitated towards the High Intensity Training, especially for certain body parts like arms; then you do not tend to have enough of that pump to get the fascia to stretch to signal all of the growth elements. The analogy I use is the bicycle pump inflating a balloon. If you pump and pump and fill the balloon to 100 percent capacity, well, in training, in between sets it goes back down to what it was previously. With only 30-to-45 seconds rest and the higher amount of volume, what tends to happen is it won't go back down to that original volume state. It'll go even more because it'll super-compensate because now you are only letting 30 or 45 seconds to go by. So you go from 100 cc's of air to 120 for the next set, then its comes down to retract to 80, then to 130 then back down to 90, then up to 140 cc's. When you are doing this you are constantly engorging the muscle with so much blood that it stretches the lining of the fascia, and the more this stretches the greater the anabolic signal and the more this increases growth hormone and our natural supply of testosterone. There are a lot of different factors that are going on, and biochemical cascades that are occurring. What tends to happen also - the most important thing - is that nutrient-rich blood is feeding the muscle. So as you are making these microscopic tears they are being engorged with nutrient-rich blood, which ultimately leads to hypertrophy. How has this style of training evolved to its present form? I have been doing different forms of it since the mid-'90s and what I did in the last several years is to structure it so it would be easier to follow compared to how I used to do it, which was a little bit all over the map. I have streamlined it. And there was no form of this in place when you started it? You are the originator of this system? Yes. Basically it was something that I used personally and then I created a better structure so that when I was able to teach my clients how to do it I had a better set of rules, and a methodology in place. A person who has trained for 15 years and has made good gains but who had stagnated for several years, before making even greater gains over a much shorter period than those first 15 years, could simply have struck on a superior method of training as opposed to loading up on drugs as is often thought to be the case. Exactly, and what I think tends to happen is - and the common belief is that it is pharmaceutical-based - if you sit there and really redesign the training program it is much more effective than any pharmaceutical solution, because training and nutrition is much more important than any type of pharmacology. And supplements have gotten so good these days with the science behind them that I think in many ways they actually work better than drugs. You don't have to cycle off them and clean out your system as much, and there are not the same toxic results. Long story short, you can totally revamp your training program at the age of 40 and get the gains you were making when you were 20. So the pro competitors of today who miraculously gain 15 pounds of muscle may have finally struck on the perfect training and nutrition formula for them as opposed to loaded up of drugs? More often than not guys are taking stuff but that is not the issue. The issue is that they are becoming smarter about their nutrition and training more than anything else. Is the FST-7 system something you would use, to a degree, with each and every one of your clients? Yes, to a degree with each and every one of my clients. In the end I thought that it was important I began writing about it in Muscular Development. I decided it was something that I wanted to share because so many people were asking me about it. They were looking at some of my clients and asking what kind of training style I had them following. People would be watching my clients in different cities and wondering about their training methods. Then I would be getting e-mails from people asking about the seven sets back to back. 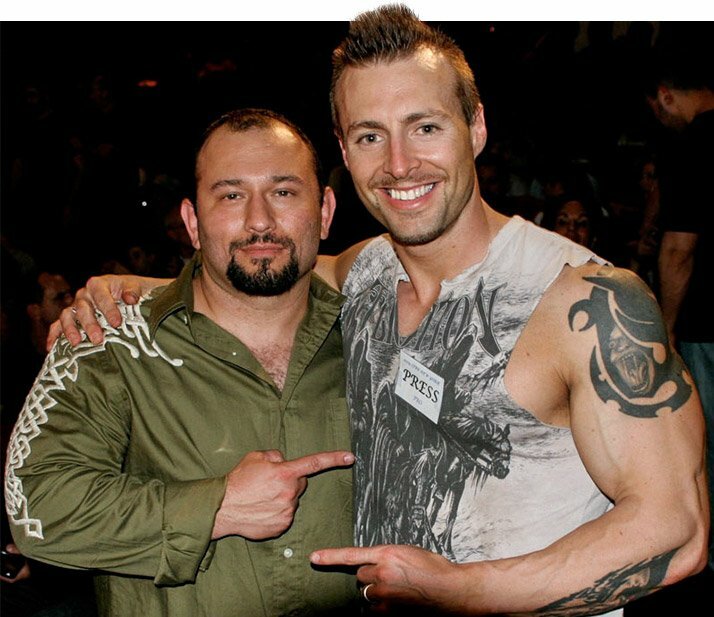 People wanted to know what was going on here, why my clients were making so many gains. So eventually I decided to publish this system in the Pro Creator Column in Muscular Development. I Decided To Publish This System In The Pro Creator Column In Muscular Development. So FST-7 is something you have been doing with your clients or some time now? Right. It was something on the down low where I would use it exclusively with my clients until I decided it was valuable enough to share with everyone. Because I think too many people were insinuating that a lot of the gains my clients were making were because of drugs. It was not, and now this is being shown after nine months of people reading my forums and listening to people talking about my FST-7 and getting rounder and more muscular without having to add 10 to 15 pounds - they may put on four (pounds) maybe and they look like they have put on ten. They're getting a much rounder look because of the muscle belly expanding. So by stretching the fascia to a greater degree you are allowing growth to occur beyond what would be achieved through less emphasis on this process? And with your style of training someone even at the elite level could become even better? Yes. Right, potentially you can get rounder and rounder and depending on whether you stay injury free and that you stay on top of your meals and supplementation and rest, with this style of training you will make phenomenal results. And with this training you will not be training as heavy as one who is a powerlifter or a power bodybuilder, and therefore you will be less likely to be injured. Before you standardized your FST-7 method you were using other training approaches. 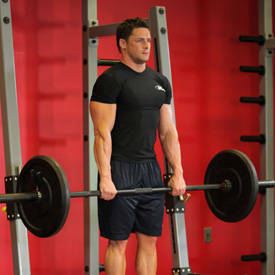 Are the commonly used three sets of eight to 12 reps per exercise still valid? I'm a person who believes there is no ultimate training style. You use what works best for your body. If you are just a beginner I tell people at this stage if they want to try my program, to do one or two exercises a week using the FST-7 principles. As you advance you can increase its use. The pros, for example, will do it with every single body part to ensure they maximize their potential. But they also eat, sleep and everything revolves around them trying to become better. If somebody is just a regular person - a weekend warrior - I would also recommend doing the eight to 12 reps approach and if you want to try to make your arms, for example, a little bit bigger, try an FST-7 set. See how that goes for you. If you like it you can incorporate a little bit more into your program as long as you are recovering and your soreness is under control. If you are sore for a week that is telling you something, and you will need to back off on it. This either means you are not getting enough rest or your body is not getting enough nutrients. With the FST-7 method is there a rest and nutritional framework that can be used to maximize it? Yes, there is a specific nutrition program that revolves around it. It is something similar to a contest diet, and very particular for each person's metabolism. Again for somebody who has a very quick metabolism I will incorporate higher amounts of calories and total food intake. If somebody has a slower metabolism I will build up the amounts of food to coincide with how quick their metabolism is. It is the old adage of 'if your fire isn't hot (the metabolism) you will need to speed it up by filling in more and more layers of wood.' The same thing goes for FST-7. I'm not going to give a regular person a pro bodybuilders diet, and I'm not going to give a regular person's diet to a pro bodybuilder. So under this criterion the average person is not going to need as much protein as a pro bodybuilder who has lower body fat, regardless of total body weight. Exactly. The formula stays the same but obviously the numbers are a lot higher because they (the pro bodybuilders) are much leaner than a normal person and usually a lot heavier. What exactly are the fundamental principles of the FST-7 system? Principal number one is that you can't get away from the base movements. These are important. Whether they are squatting, bench pressing, deadlifts or bent over rows. 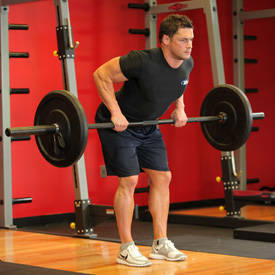 Those are movements you will need to use to get stronger, and a stronger muscle is a bigger muscle. You don't want to focus too much on reps and sets, you want to address getting stronger every week or adding a rep or two every week to the previous amount of weight that was lifted. You want to address getting stronger every week or adding a rep or two every week to the previous weight that was lifted. The second important thing is to make sure you get the blood volumizing sets in, and those are the seven sets. 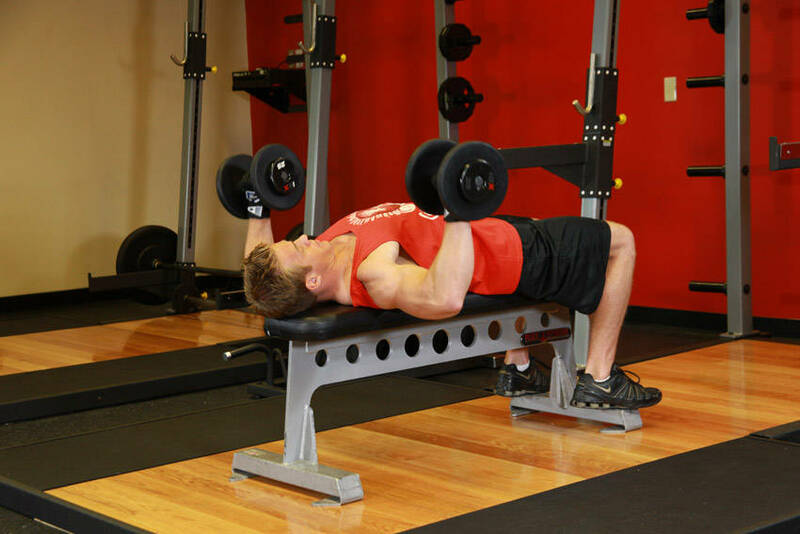 And you need to make sure the weight is not too light throughout these sets, but also ensure you are not going so heavy that you can't get the proper form. So eight to 12 reps with proper form to failure at the 12th rep mark. That is what you are looking for. Number three: hydration. In order to get pumped, you need to stay hydrated. Water consumption is an important thing because if you don't have enough fluid, what will happen is you won't get a pump. 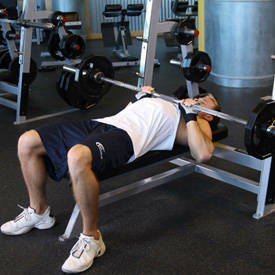 You will just feel fatigued let alone getting through seven hard sets of an exercise. What do you recommendation for water consumption? Normally it is individual depending on how much you sweat but it is no lower than three liters per day. It could reach upward of two gallons of water (about seven or eight liters) if you are in contest mode and doing a lot of sweating from the cardiovascular work. And obviously your climate has a lot to do with it as well. What else is of importance when applying FST-7? You need to ensure you are stretching the muscle. What I recommend doing is reading the article in the new Musclemag (December 2008) and there you will see photos of how to best stretch the muscles to enhance FST-7. 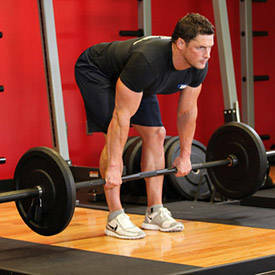 Number one: contract the muscle in between sets - actually pose the muscle. When, for example, doing arms, you want to supinate your wrist and squeeze your biceps almost to the point where it is cramping up. And in between another set you will do the opposite: stretch the muscles out. With biceps, straighten out the arm and twist the forearm to get that full stretch. You can alternate between sets or you can do both the stretching and flexing in the same set. That way you can get the peak contraction and the mind/muscle connection. It is important that you stretch out completely to elongate the muscles. You have to realize that you are not stretching just to stretch - you are doing this to really stretch to full capacity almost to the point of pain. It is not just your normal limbering up type of stretch. Some people assume that using a weight will enhance the stretch reflex. No, normally I tend not to use an added weight. When you are doing a basic lat stretch where you take your arm and grab a stationary object and rotate your hip away from your arm, those are the types of stretches I advocate between sets. If someone takes a dumbbell and stretches I think that puts too much pressure on your axillary muscles like your lower back. I think when you stretch you should be doing the basic stretches but doing it long enough so that you can really feel the muscle fibers lengthening. Would you encourage emphasizing the negative part of the rep to more fully stretch the muscles under tension? What you have to do is emphasize the negative only because doing this will ensure you cannot use momentum on the positive. The reason why it is so important is that if you do go too quickly on the negative it will negate the set. Now on the FST-7 movement you can use a little bit of body English; you are aiming for much more blood volume into the muscle so the speed of the movement goes up. But for the base sets you want to go a little bit slower so that you de-emphasize momentum. An objective for going faster on the FST-7 sets is to force more of the white type II fibers to contract? Right, what you are trying to do with the base movements is hit more of the type I fibers, and for the FST-7 movement you will aim to hit more of the type II fibers. Do you have any recent examples of people who have experienced positive results on your FST-7 program? Curtis Bryant who just won the Light heavyweight at the USA's, and just did the 202 (class) at the Olympia. He just turned pro and hit the Olympia stage within three or four months of using this program. It helped him tremendously. Obviously my most notable client is Phil Heath who used FST-7 for this year's Olympia and the Ironman and Arnold. 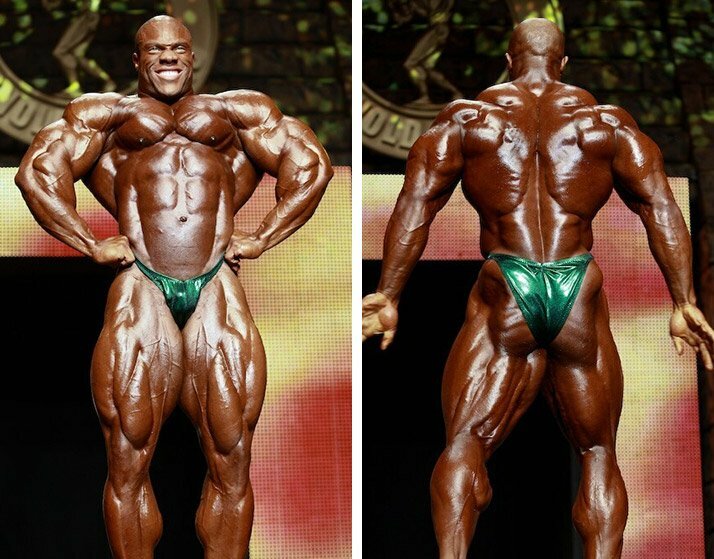 Pro bodybuilder Bill Wilmore has used it to bring up his legs and arms, which have been lagging for years. He won the overall 2005 Nationals. Kristal Richardson who just placed seventh in her first figure Ms. Olympia - she uses it. Fouad Abiad is somebody who used it in the off-season and pre contest this last year. He just competed at the Olympia. Fouad Abiad At The 2009 Europa Super Show & Supplement Expo. Exactly what results did Phil Heath experience using FST-7? With him everything came up. He put on 16 pounds of muscle using it. It is known that Phil grew massively in his last off-season yet came in well proportioned at the Olympia with muscle in all the right places. Yes, we were able to keep his proportion in line as we tried to emphasize maintaining a tight mid-section while increasing his muscle mass through his shoulders, chest, back and quad sweep. Everybody commented on how much more round he looked. You will see that most athletes he stands beside don't have the same degree of separation he does because of the fact he has gotten so round that he has carved amazing detail while adding all of his extra muscle through the FST-7 training system. So everything in Phil's program stayed the same other than the fact he began using FST-7? Yes, pretty much. Obviously we increased the amount of food but the number one change was training. What was Phil's body weight when he first started working with you? When he first started working with me in 2005 he was about 235 pounds. Yes that was off-season. The first show we did - the 2006 Colorado Pro - he weighed in at 211 pounds. Since then he has put on about 19 pounds of muscle. If I came to you tomorrow and wanted to get started on the FST-7 system, what could I expect to see in six months from now? It all depends on a person's individual genetics. It is something that is so individually based. I could turn around and say you would add four or pounds of muscle in the next year and it could be eight or nine. Honestly, I didn't expect Phil to grow as much as he did. I thought he might add maybe six or seven pounds, which would have been phenomenal for a person at his level. But he gained twice that. It's one of those things that are very individualistic. The key, whether you are an amateur bodybuilder or a weekend warrior, or have hopes of going pro, is to take it and utilize it and give it enough time to work - about eight to 12 weeks - before you come to any conclusions. Sometimes you will see gains as early as two weeks. Fully implement it first to gauge any kind of results. Don't throw it out the window after two or three weeks and say it didn't work for you. Because it is one of those things that take your body a little time to get used to and for you to learn all of the different aspects. And as much as I try to explain my program, this is different than having someone teach you it 1-on-1. Somebody could read my program and decide that they were doing it right only to find that when I looked at it later I would say 'no you aren't doing it right.' There is only so much information you can convey over the written page. With this program, if an athlete reaches a certain level of success and has achieved what they wanted, you could help them to progress even further with an updated program? Exactly. There are different more advanced versions that haven't even been talked about yet. A lot of my athletes will be using these next year and they will be written about over the next 6-to-12 months. Those are being tested and implemented right now as we speak. As your athletes progress and reach plateaus will you continually evolve the program to help them overcome their sticking points? Yes, it is a living program. It is not one that is stagnant. It is one that will constantly need to be evaluated. That is why we have created hybrid programs so we are constantly breaker barriers and cracking plateaus - to constantly move forward with improvements. And if the person has the knowledge and the desire what we want to do is maximize their chances of success.